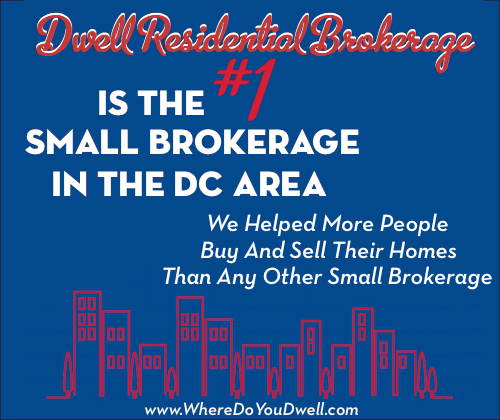 Market indicators point to a healthy spring market in the Washington DC Metro Region, according to statistics released by Real Estate Business Intelligence (RBI). April numbers show a spike in new listings for the first time in 2 years and the lowest days-on-market in 8 years. Sales and median prices continue to rise, and new contract activity is up after several months of declines. The condo market led all property segments in sales and new contract growth. The low inventory of homes for sale coupled with strong demand on the buyer side is fueling much of the market growth. Whether you’re a buyer or seller, the DC market is gaining speed. Take a look at the charts and numbers below for detailed highlights. New listings spiked in April, possibly an early sign of a changing pattern. This rise could indicate that sellers are starting to be drawn into the market by higher price points and faster sale times. Highest April sales in 3 years, double-digit growth for the region, 12.3 percent higher than this time last year, and the highest April total in three years. Sales are up 18.6 percent from last month, which is twice the 10-yr average March-to-April increase of 9.3 percent. Condos continue to post the fastest sales growth, rising 24.8 percent from April 2012, the highest year-over-year growth for this property segment since May 2010. Steady price growth continues around the region; sharpest gains in Maryland. DC posts another record high. At $400,000, the median sale price in the Washington DC Metro region is 7.7 percent higher than this time last year, the highest April median price in six years. The low inventory of active listings continues to put upward pressure on prices. The median price for townhomes and single-family detached homes both increased 10.0 percent from April 2012. The median price for condos in the region rose 5.5 percent from last year. At the jurisdiction level, median price growth continues to climb, particularly in Maryland. Montgomery County led all jurisdictions in terms of growth rate, with prices up 10.3 percent from April 2012. Prince George’s County was not far behind, rising 10.1 percent from last year. Once again, the District of Columbia recorded its highest median sale price on record at $470,000. Arlington County also posted its highest median sale price on record at $560,000, $10,000 higher that its previous high of $550,000 in June 2012. The median days-on-market for the region is now 11 days, the lowest of any month since the peak of the housing boom in 2005. After declining four of the past five months relative to last year, new contracts are back on the rise in the Washington DC region. There were 6,171 new contracts in April, up 9.0 percent from this time last year, and the highest April total in eight years. As with sales, new contract growth from last month is about twice its 10-year seasonal average, rising 14.8 percent from March. The condo market led all property segments in new contract growth, rising 18.7 percent from April 2012. After nearly a year of declines or marginal growth, new contracts for single-family detached homes are up 6.2 percent from April 2012. New contracts on townhomes are up 5.8 percent from this time last year. Similarly, the average sale-to-list price ratio now stands at 98.2 percent for the region, the highest it has been for any month since April 2006.